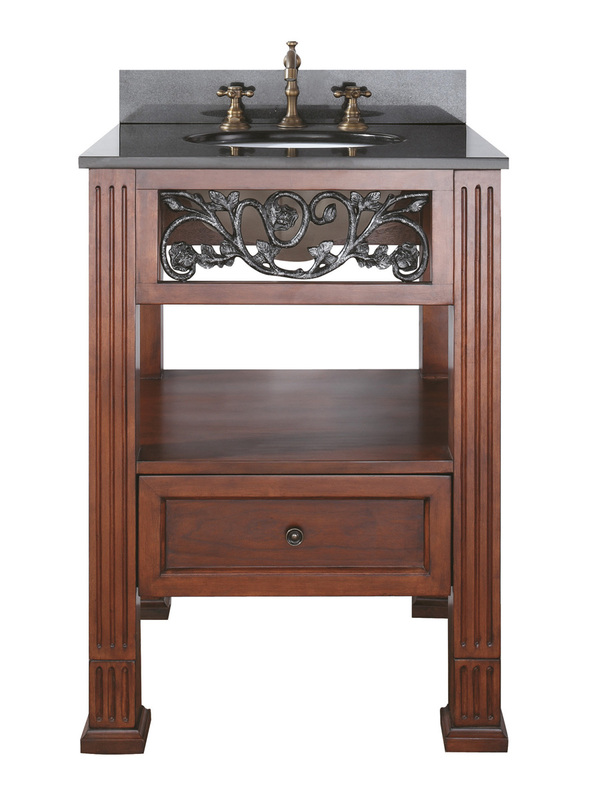 The Palo 25 in. 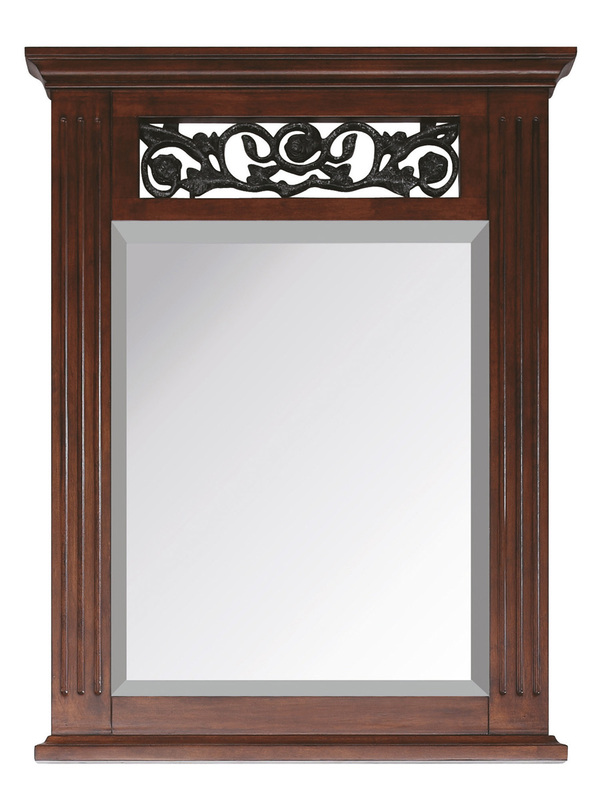 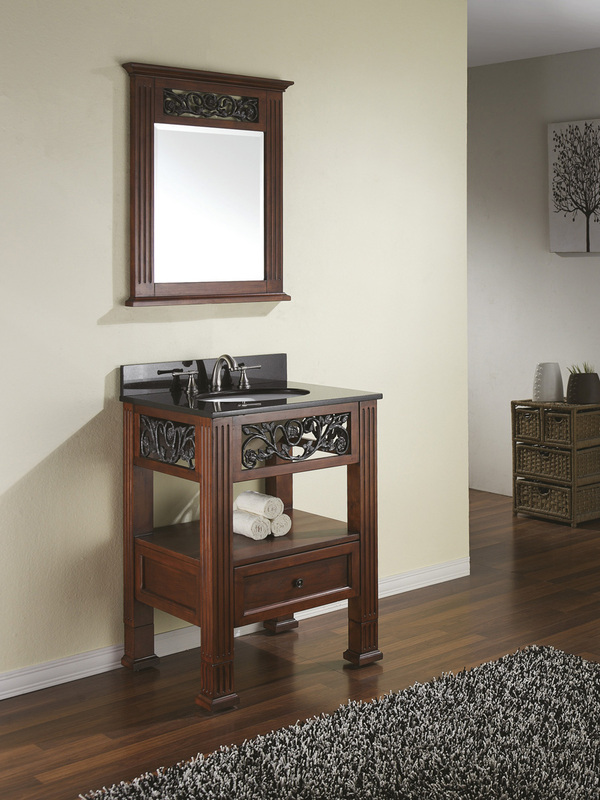 vanity features a signature design with cast iron floral inserts. 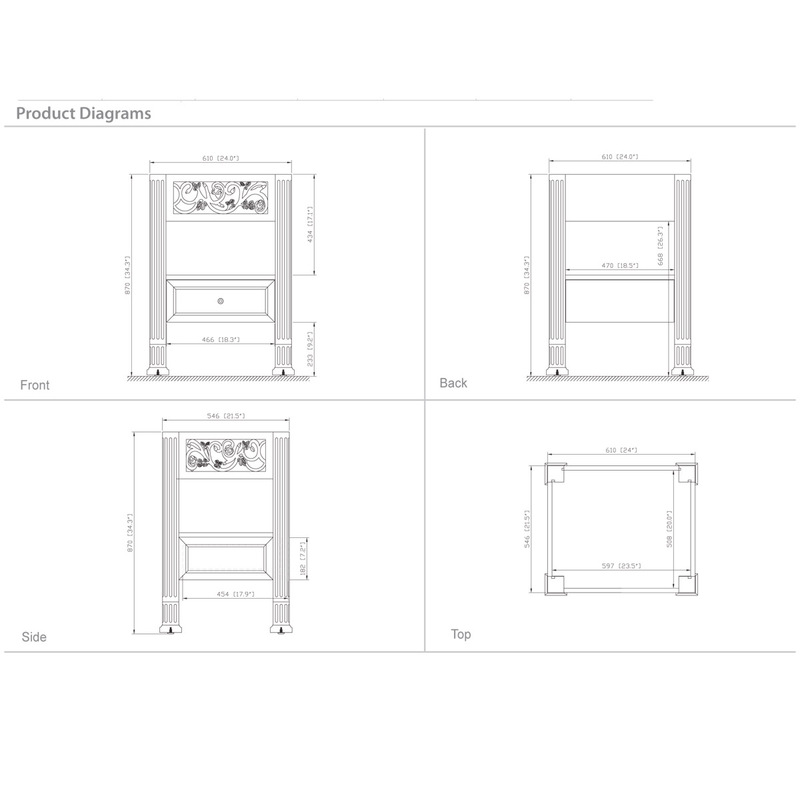 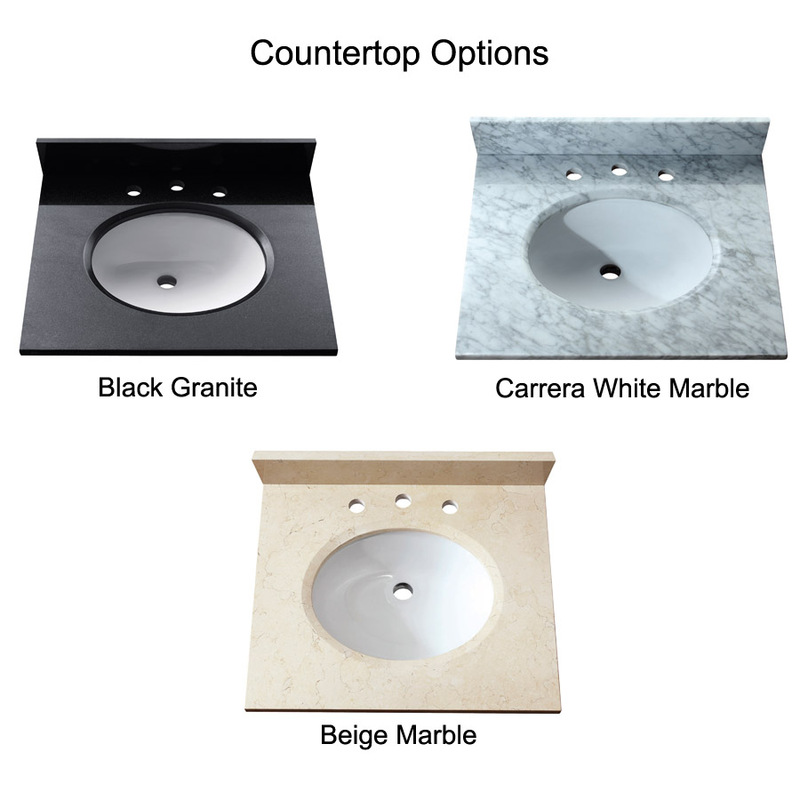 Three top options with undermount sinks. 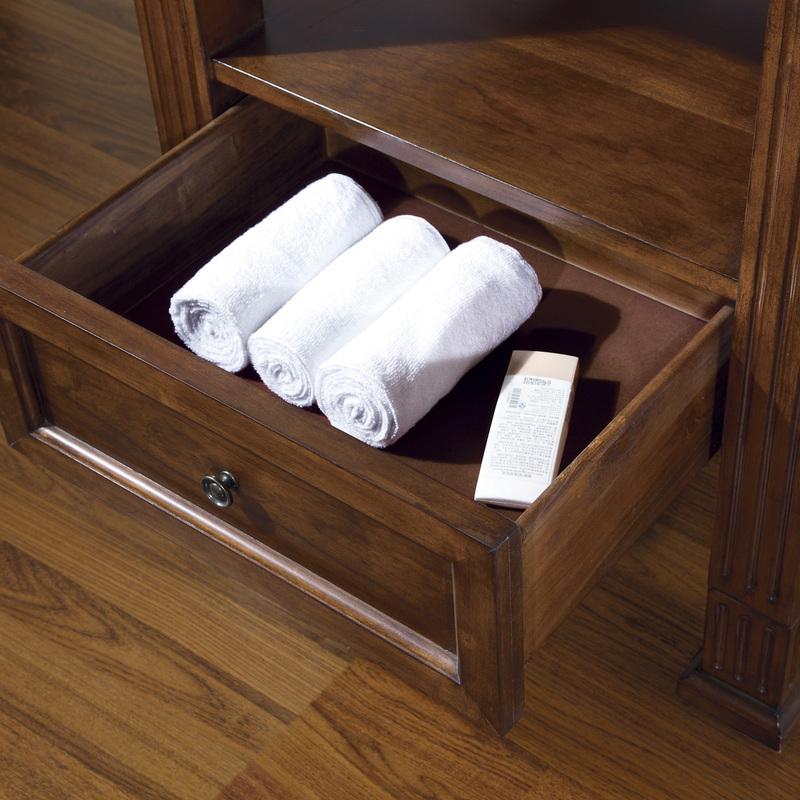 The vanity is constructed with durable poplar solid wood, an open shelf and soft-close drawer added extra space for storage.